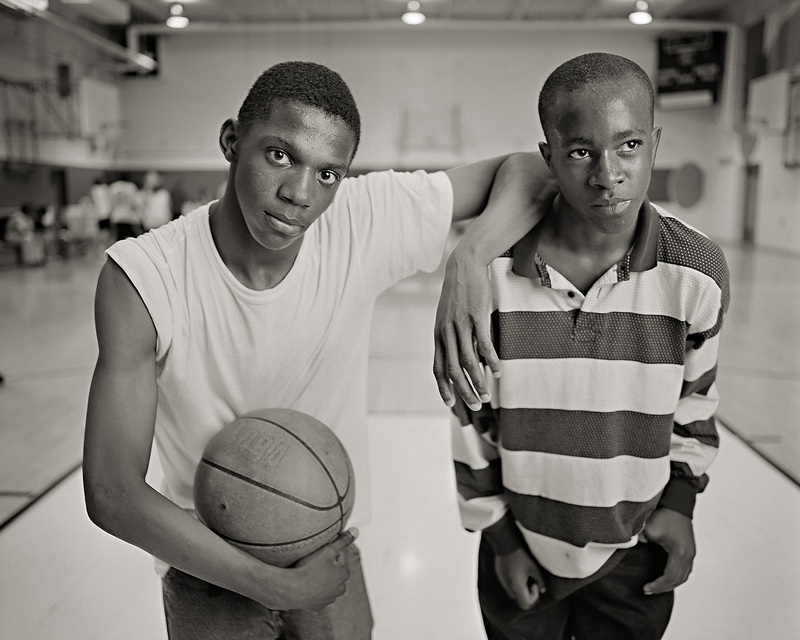 Basketball players black and white portrait in a gym. Hope Center, Omaha. Portrait of 2 young athletes in the gym.